The Hyakki Yako or the night parade of one hundred demons refers to a group of demons and yokai that walks around the night and it is a popular theme in traditional storytelling of Japanese folklore. One hundred monsters slowly moving forward on the path after the sunset would be a very scary and frightening sight to behold. But if you come across this strange situation, you may feel so curious that you'd quietly follow them. 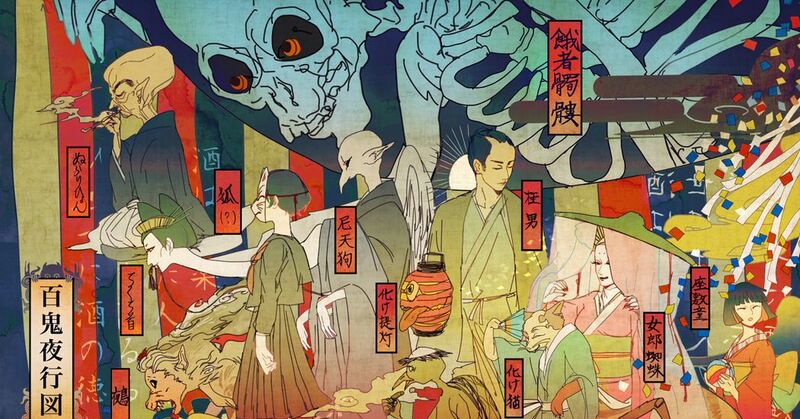 Today we are featuring illustrations of demon parades. Want to take a peek into the night world with the monsters as the main characters? Please enjoy!